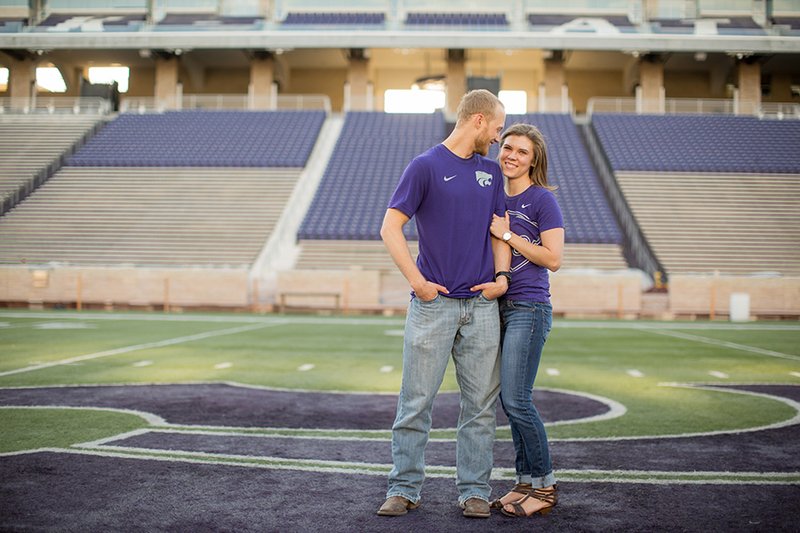 Kaylee and Travis have been together for a while and have really figured out how to appreciate each other. 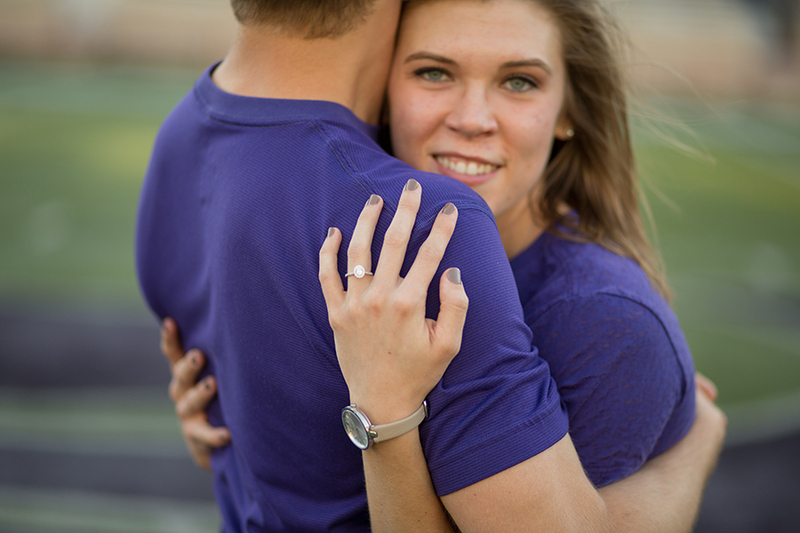 Their relationship survived two years of Travis living in Idaho until he was offered a job at his bachelors degree alma mater and he got to come “home” to Kaylee. 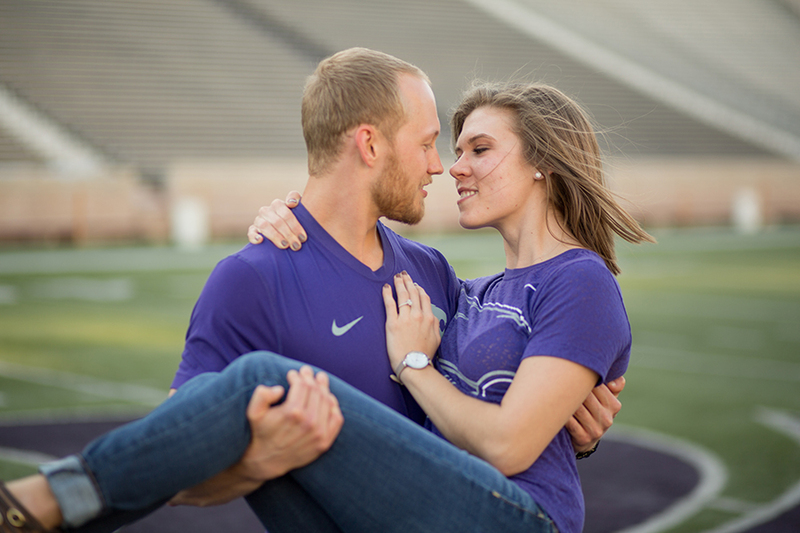 I personally know how hard it can be to have a long distance relationship and admire these two for how long they endured it. 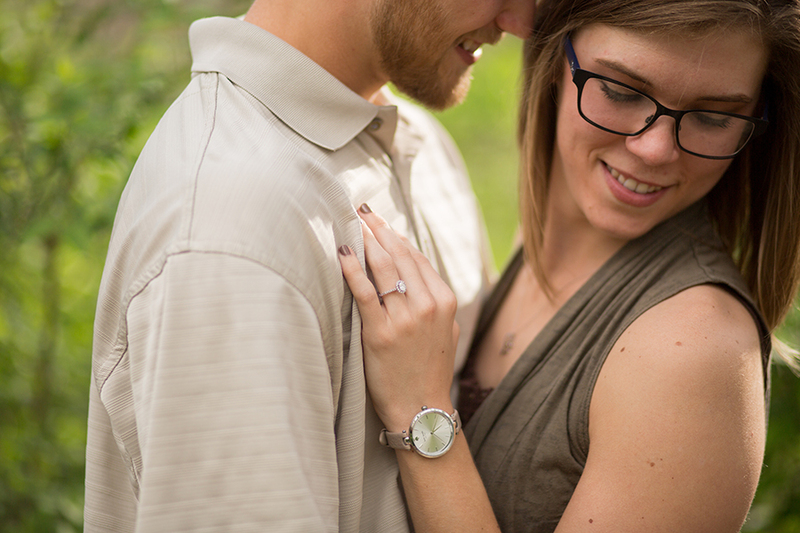 Clearly it was meant to be, they got engaged and then I got the chance to meet them and hear their story. 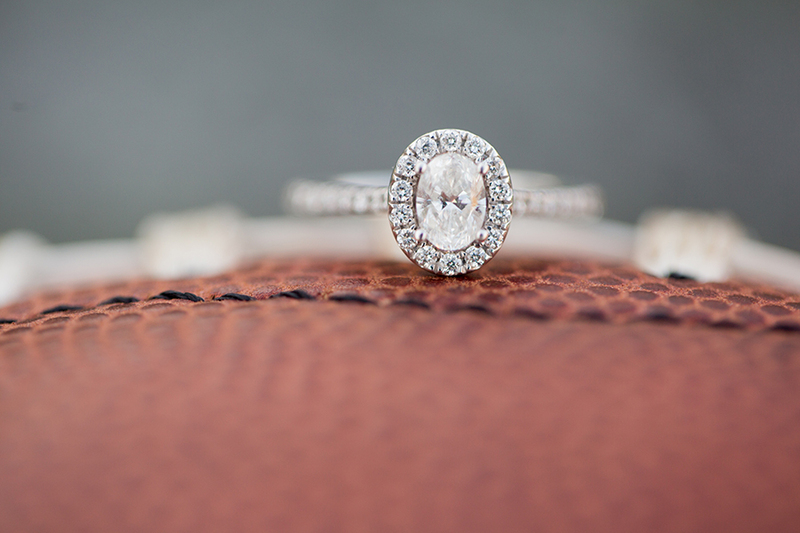 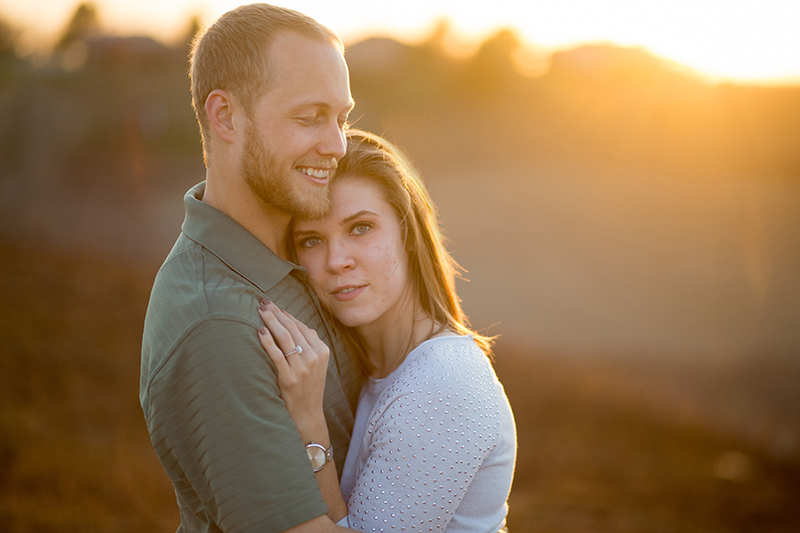 Their engagement session happen in early April, which proved to be a perfect day for a session. 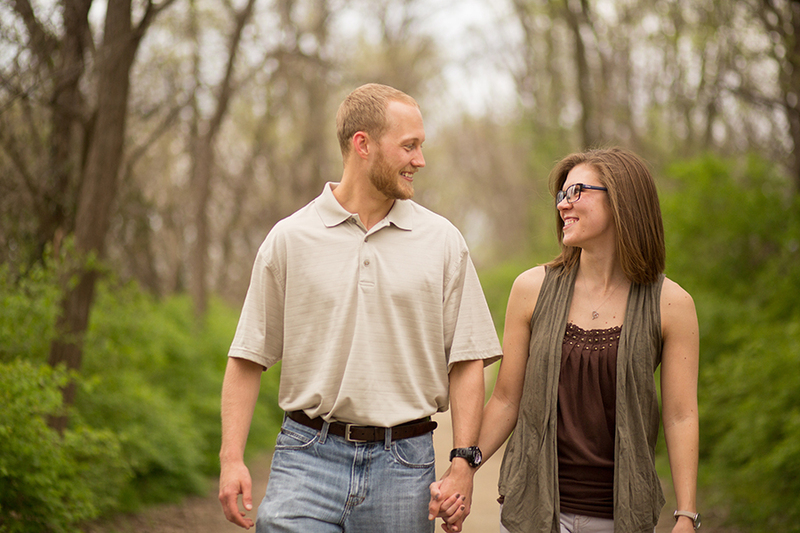 The weather was perfect as we started their session at Manhattan’s Linear Trail. 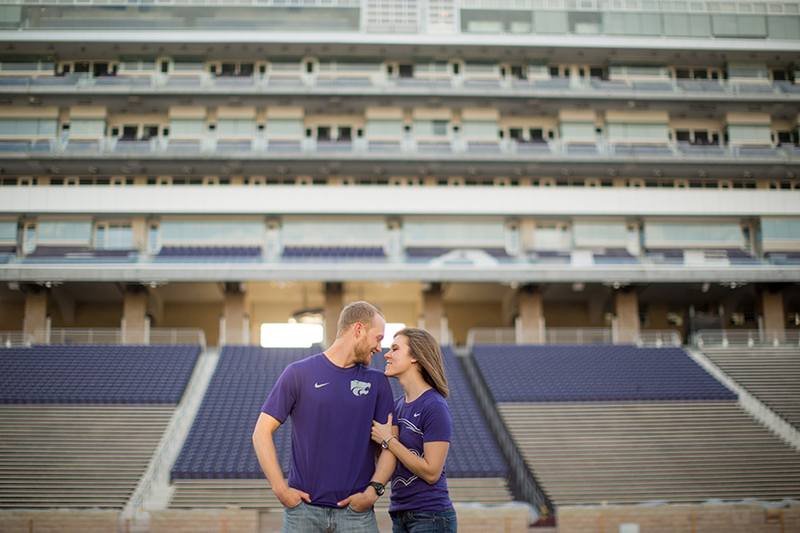 Kaylee and Travis were naturals in front of the camera during their Bill Snyder Stadium engagement session and had no problem showing their affection for each other. 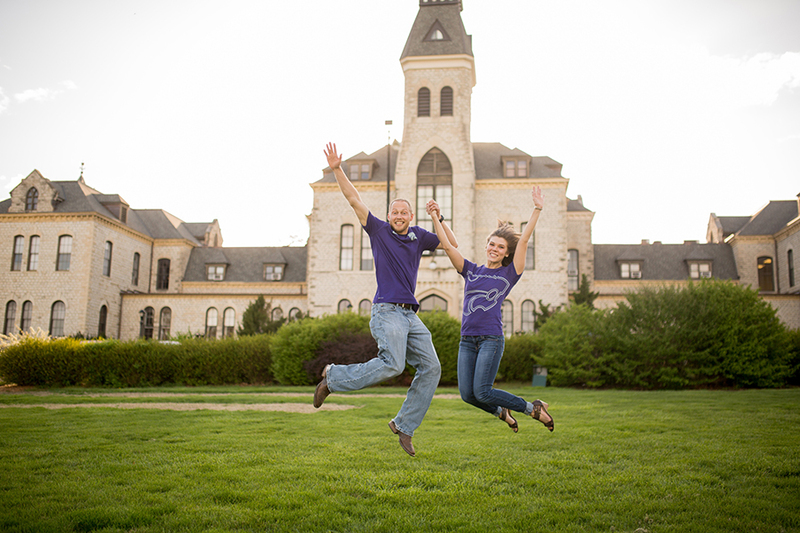 Next we headed to the campus of Kansas State University and got some great shots in front of Anderson hall. 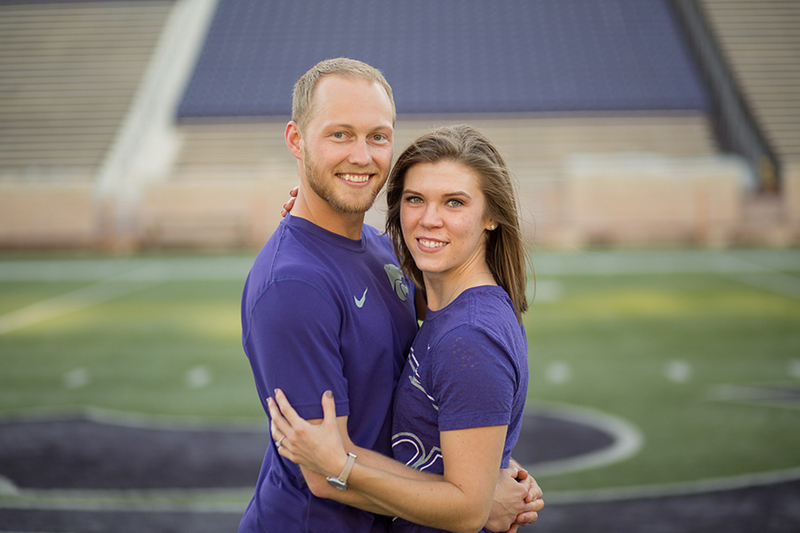 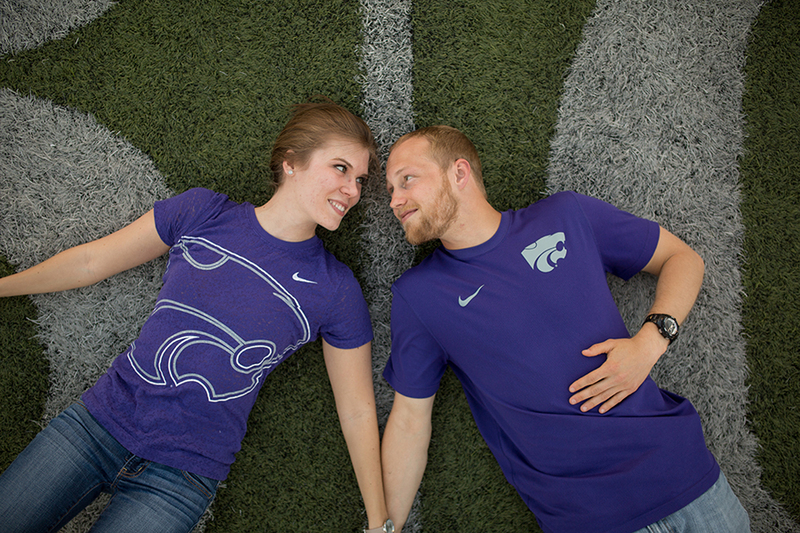 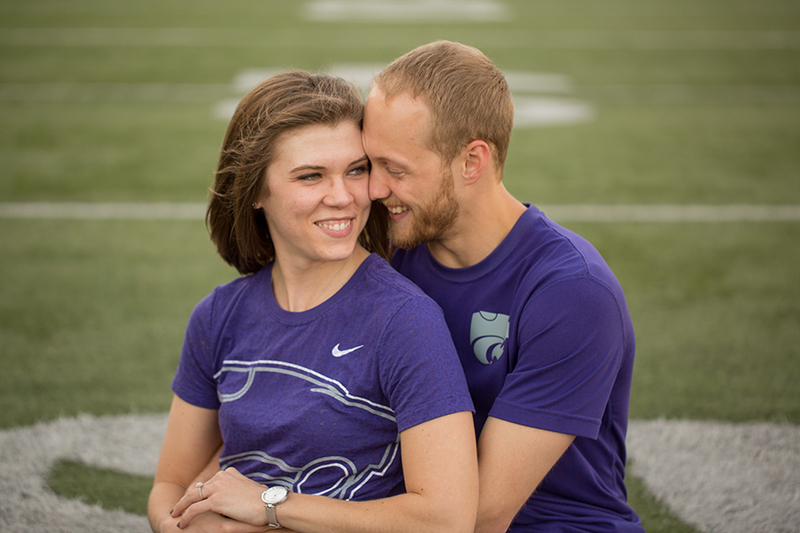 Kaylee and Travis met while attending Kansas State University and working at the Rec. 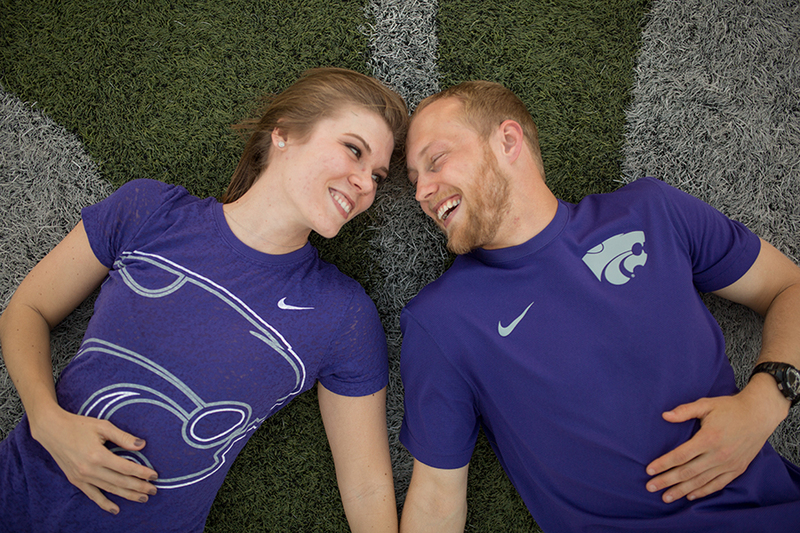 they have a love of exercise, Kansas state sports and Kansas state so naturally they chose to have part of their session on the Field at Bill Snyder Family Stadium which is where we headed next. 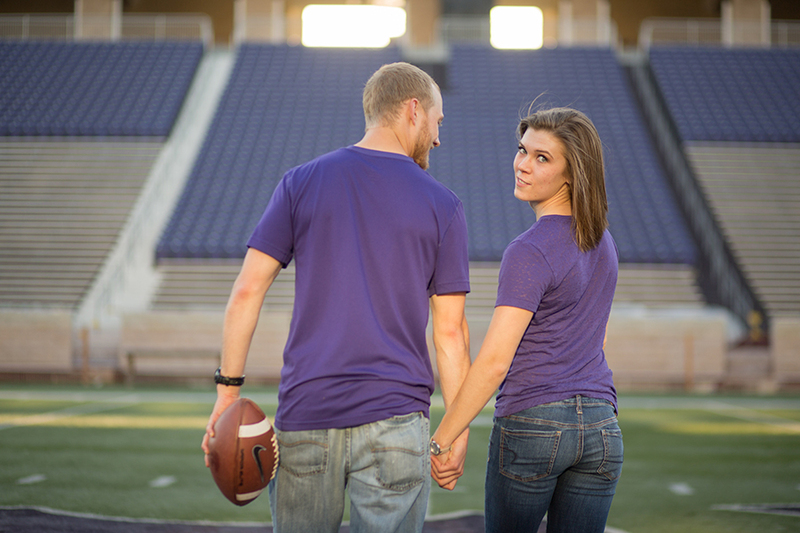 They had never been on the field so their excitement was palpable. 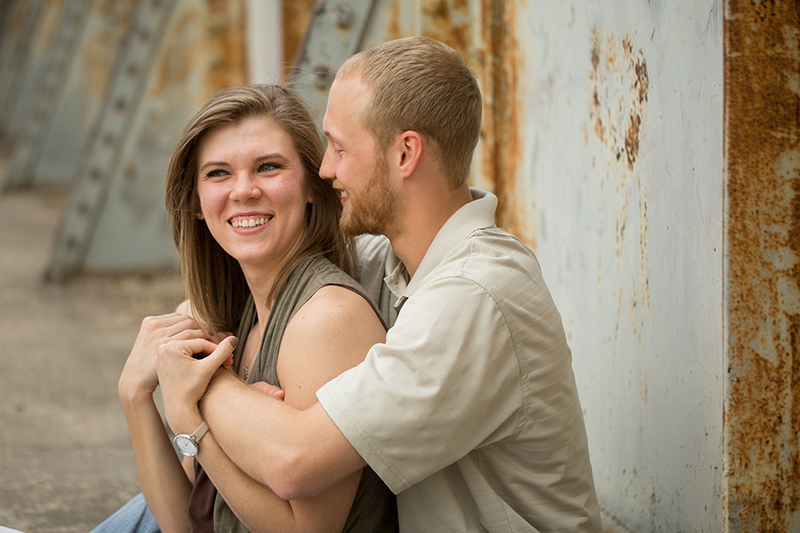 One of my favorite elements of this session was the playfulness that this couple shares which made for some great and different poses and some of my favorite candid shots. 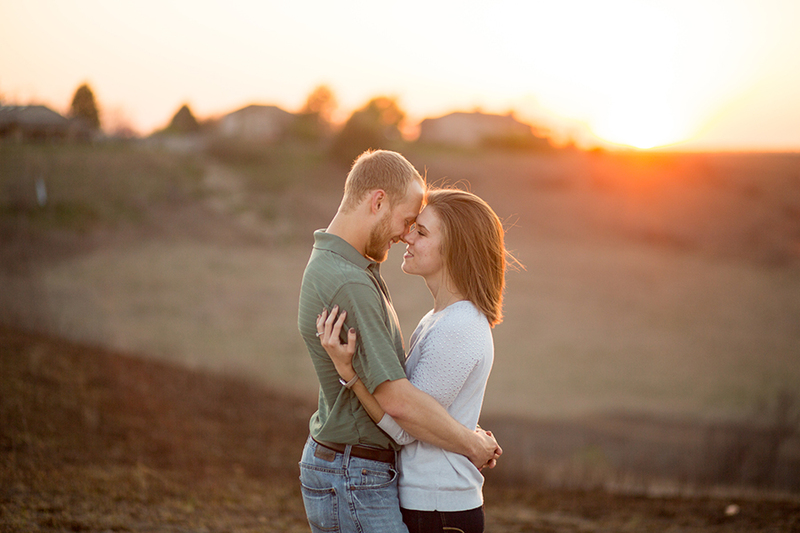 We ended the session at the top of the world with the perfect sunset. 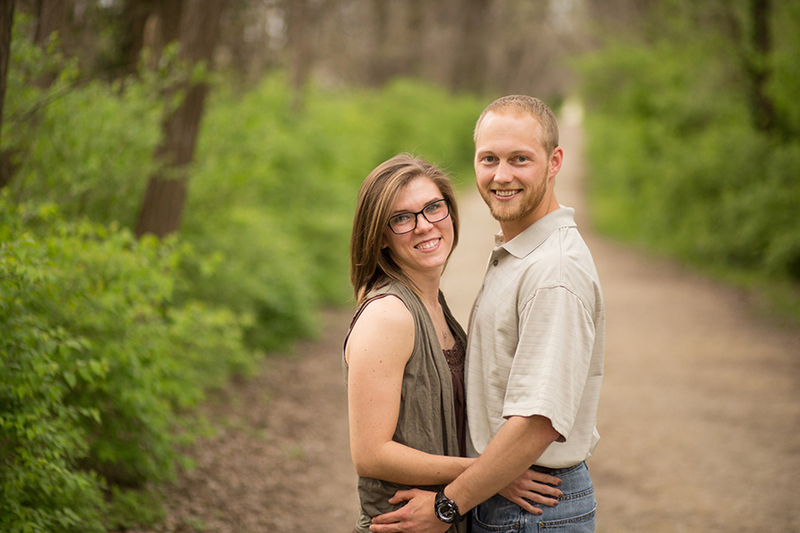 Kaylee and Travis are getting married in Manhattan and I can’t wait to meet their families and friends and am honored to get to capture their special day as they join together forever!